Updated Friday July 14, 2017 by Tim Dodge. Description: Falcons Xtreme Cheer Is one of the few Rec-Council programs to offers 2 types of cheer programs for girls and boys ages 4-18. Both programs were created to teach our cheerleaders the fundamentals of cheerleading while providing lots of fun! We promote coordination, poise, self-confidence, respect, and last but not least, responsibility and team work. Football cheer is our sideline cheerleading program that attends and cheers for ESP Falcon Football and also participates in the Falcons Pep Rally. Want a more challenge and advance cheer team for your cheerleader? Then competition cheer may be for them. We go to competition's to compete against other cheer teams. This program is like what you see on ESPN so it is more demanding and requires the cheerleaders to attend every practice. We are scored for our routine and have had great success in the past such as winning jackets and also rings. And we also have a NATIONAL CHAMPIONSHIP to go along with that. If any of these programs sound like a fit for your future cheerleader then welcome to THE FAMILY!!! Registration is available online or for more info please email espcheer@comcast.net. External links are provided for reference purposes. Edgemere-Sparrows Point Recreation Council is not responsible for the content of external Internet sites. 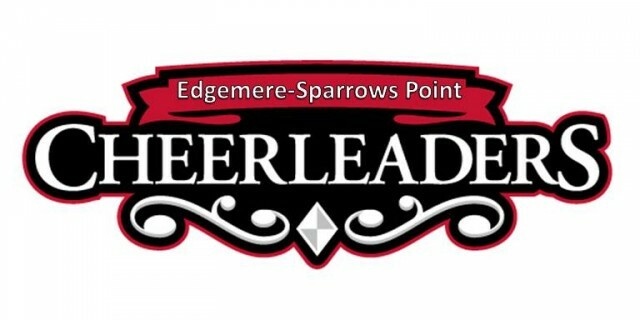 Copyright Edgemere-Sparrows Point Recreation Council All rights Reserved.